Imagine if you could develop productivity habits that would allow you to start your own business even if you have a full time-job. What if you don’t have to choose between the financial security your job provides and starting a business you actually love? 1.Shift your mindset about time. Your beliefs could be wrong. 2.Notice destructive thought patterns that occur before you indulge in time-wasting activities. 3.Get rid of terrible habits that are robbing you of productivity and replace them with better habits that will increase your output. This book expands on these 3 concepts and a lot more. Buy your copy today if you would like to double your productivity and eliminate harmful behavior that is holding you back from your true potential. “Edit” your life to focus ONLY on what’s important. Delete procrastinating habits from your life and replace them with productive habits. What time really is so you can use it to your advantage. A magical formula to calculate the exact monetary value of your time. A powerful way to keep you accountable. The 2 types of energies, why you need both, and how to increase them. Lies we tell ourselves about time and how to bypass them. The deceiving enemy of productivity and how to combat it. 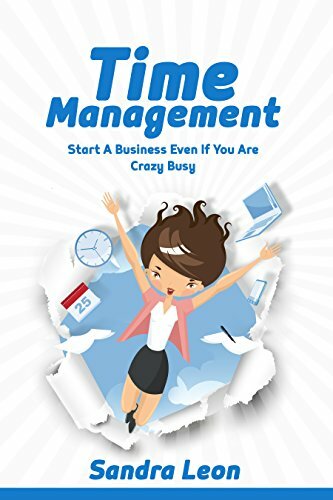 Don’t waste another second, buy this book now to learn the powerful productivity strategies you need to start the life and business of your dreams. You can download your copy today by clicking the BUY NOW button at the top of this page!